I crossed off a bucket list item two years ago when I saw Incognito live in Detroit. It was a short set but still a thrill to see them live after decades of my unwavering fandom. Last weekend, Incognito played the renowned Java Jazz Festival from Indonesia, a performance that was streamed live and enjoyed thoroughly by yours truly…from my couch. Live stream concerts don’t look much different than any live recording. Indeed, one of the best Incognito shows I’m aware of is their 30th Anniversay Concert in London at the Indigo2. I’ve watched that recording but seeing a live stream does have an additional appeal – being a part of something in the now, no matter how far away. The show was impeccable of course: energetic funk, deep soul, astounding jazz musicianship, great songs. One of the greatest treats of seeing Incognito live is witnessing virtuoso performances by each and every member of the band. Matt Cooper on keyboards is positively possessed by the music and has a natural touch that brings so much of leader Jean-Paul ‘Bluey’ Maunick’s compositions to life. The horn section, though only three strong, has a presence that you might expect from twice as many players. Guitar, Bass, Drums, and Percussion are equally featured and well served. The George Duke tribute after “Colibri” in particular features generous solos from Francis Hylton (bass guitar), Francesco Mendolia (drums), and João Caetano (percussion). Another feature of the live experience was the unexpected swapping of instruments among band members. Bluey took to vocals with some whimsical rapping, Keyboardist Matt Cooper got behind the drum kit, Drummer Francesco Mendolia played bass guitar like it was his first instrument, and long-time vocalist Vanessa Haynes stepped into percussion. The music was just as tight and proved yet again that Incognito demands an exceptionally high standard of well rounded talent from its members. Bearing witness in real time to a show like this is the next best thing to being there. A distant second, admittedly but not without a hint of magic. 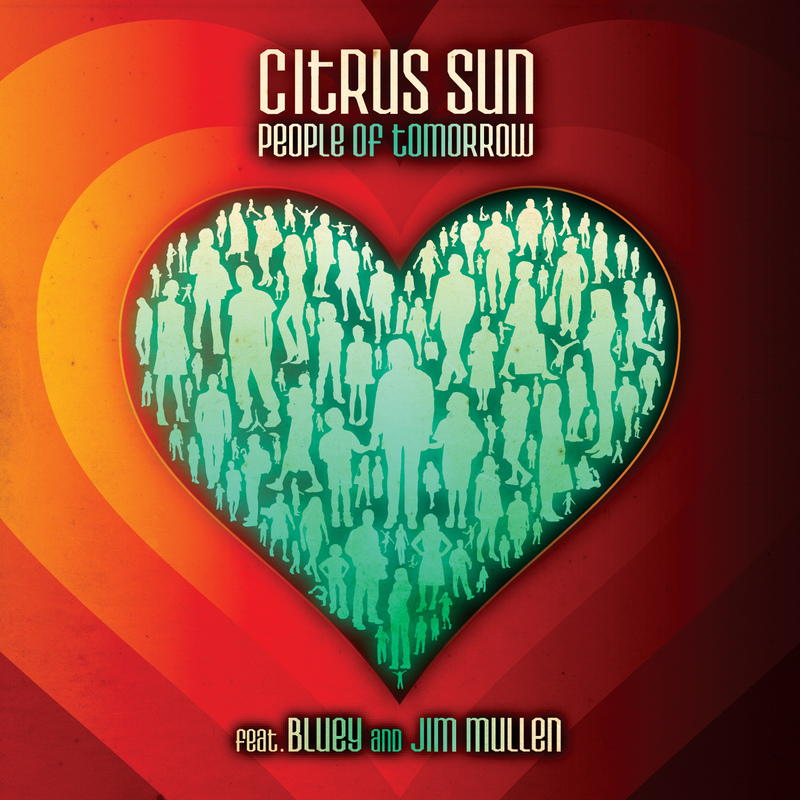 Jean-Paul ‘Bluey’ Maunick; Matt Cooper, Keyboards; Vanessa Haynes, Vocals; Tony Momrelle, Vocals; Imaani, Vocals; Francesco Mendolia, Drums; João Caetano, Percussion; Francisco Sales, Guitar; Francis Hylton, Bass; Sid Gauld, Trumpet; Alistair White, Trombone; Jim Hunt, Saxophone. Note, the March 5 concert is reviewed above but the stream was interrupted during the second last song. The March 4 recording is complete. Roslin Orphanage: The band adopted this cause while in Indonesia for this tour. If you would like to learn more and support the cause, follow the link to the orphanage’s website. Listening to Jean-Paul ‘Bluey’ Maunick’s sophomore solo album reveals new depths in a seemingly endless well of musical genius. 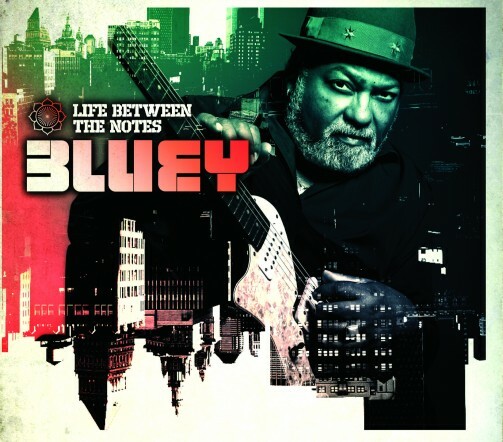 Like his solo debut, Leap of Faith (Shanachie, 2013), Life Between the Notes features Bluey’s greatest strength, his songwriting, but also illuminates new corners of his talent. 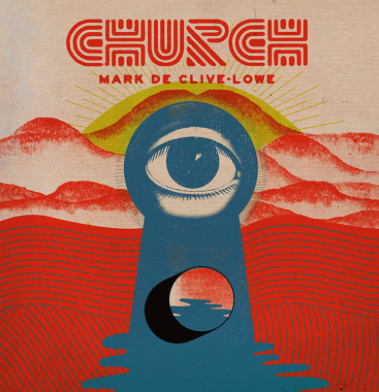 The thoroughly enjoyable title track and others like “Been there Before” and “Trippin’ on this Feelin'” are filled with groove and melody we have come to expect from this master songwriter with remarkable pedigree in jazz, funk, soul, and R&B. What’s even more exciting than a new crop of songs from Bluey is his entree into jazz vocals that reveal the crooner within. “Sunships on the Shores of Mars” and “Columbus Avenue” have a coolness and ease with jazz vocals that we have come to expect from the likes of Gregory Porter. Bluey joins the club. One can’t help but wonder if Bluey took notes from previous collaborator and jazz vocal legend Al Jarreau himself. Jarreau and Maunick worked together on Mario Biondi’s album, Sun (Columbia, 2013) and hints of Jarreau’s style can be heard on these two tracks. As with Bluey’s Incognito albums and Leap of Faith, Life Between the Notes is consistent and brings something new on each listen. It’s a fitting addition to an already legendary oeuvre. I’ve been listening to Incognito’s recorded music for about 25 years and they consistently qualify as my favourite band, my favourite music, and the best group creating new music today. Seeing them live has always been a dream of sorts. For this year’s tour, egged on by my sister, I finally made it happen. 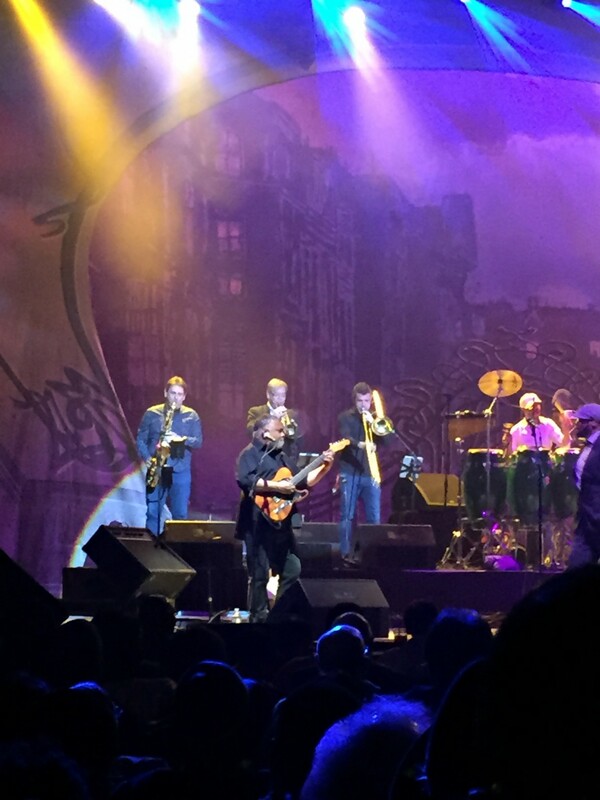 We saw Incognito’s short but quality set on a triple bill at the Detroit Opera House on April 4, 2015. Incognito had a one hour set in between two other well-known ensembles from the smooth jazz realm: Hiroshima and fOURPLAY. Both acts demonstrated strong songwriting, musicianship, and a love for performance. fOURPLAY, in particular, was a pleasure to watch for a couple of reasons. First, they are talented musicians who play together with the cohesion you would expect from a band with their longevity. Second, because two living legends were on stage in leader and pianist Bob James and drummer Harvey Mason. Chuck Loeb on guitar and Nathan East on bass guitar were virtuosos of equal calibre. But this post is really about Incognito. One of the most remarkable things about their performance was the setlist itself. 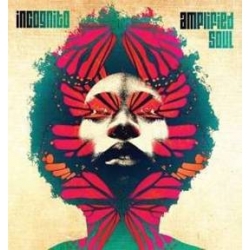 Staying in tune with the smooth jazz tone of the evening, Incognito chose to weight their selections with older material, mostly from 1992’s Tribes, Vibes, & Scribes (Phonogram) and 1994’s Positivity (UMG Recordings). With such a short set, they squeezed only one track from their most recent album, Amplified Soul (Shanachi, 2014). 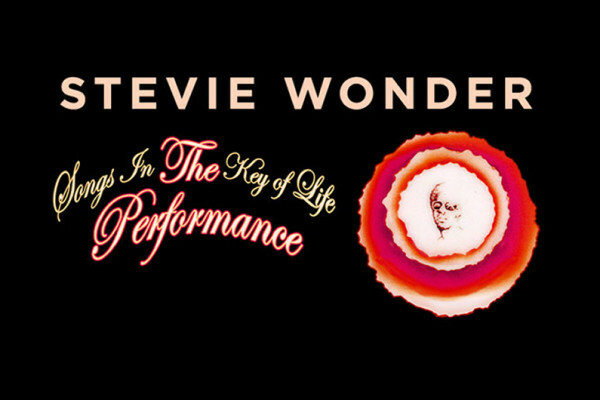 Paying respects to Detroit’s musical pedigree, they included a cover of Stevie Wonder’s As, sung with relish by Tony Momrelle. Maysa joined the band for “I Love What You Do for Me” and subsequent songs. She brought her magic to the songs she originally recorded with the band, including free-wheeling scatting on “Colibri” with the incredible range she is known for. With precious little time, some of the songs were played at a slightly higher tempo than their recorded versions. This kept things moving and jammed more great music into the set. After the show, we were fortunate enough to meet leader Jean-Paul ‘Bluey’ Maunick, vocalist Tony Momrelle, and sound engineer Chris Lewis. Bluey was gracious with his time and sincerely thankful for our patronage through the years. It was a warm meeting and one I’ll cherish because of how much Incognito’s music has meant to me through the decades. There were many solid new releases this past year and many had two things in common. First, they were introduced to me via Gilles Peterson’s (@gillespeterson) BBC6 program, Worldwide, a staple in my listening. Second, three of my top 5 were released on Blue Note Records. Looking back just 12 months, there were so many good albums released that I had enough fodder for a top 10, with Omar’s The Man winning the year. Other notable releases were Quadron’s Avalanche, Da Lata’s Fabiola, Daft Punk’s Random Access Memories, RC & the Gritz’ Pay Your Tab, and Wild Belle’s Isles. Chakha Khan & Rufus – Before Chakha Khan’s 80’s resurgence, her career was launched with the 70’s funk and soul band, Rufus. Their album, Street Player (UMG Recordings, 1978) is a particularly good showcase of the bands smoothness and how well suited Khan’s vocal style is to their music. The track, “Destiny,” is essential listening. Harvey Mason – I posted a Harvey Mason playlist after discovering this drummer who made his mark on numerous jazz and fusion classics. Skee-Lo – An oddball find from 1995 when hip-hop albums were so prolific that it was hard to cut through the clutter to find those that would last. Skee-Lo’s album, I Wish (Ultra Moda Music, 1995) holds up today with its pleasing blend of melody and rhyme. It’s also a hip-hop album that’s not afraid to have some fun. Ben l’Oncle Soul – Neo soul has been played out in my books for some time now. But Ben L’Oncle Soul’s self-titled release (Mercury Music Group, 2010) had a fresh take because a) it’s mostly sung in French; and b) the artist makes the music his own, not trying to mimic crooners from the 60’s and 70’s but celebrating his voice and music in his own way. Donald Byrd – One of my musical heros. An innovator and prolific melodist. Tributes to him abound on the internet as the year closes out. Nice to see him getting such wide recognition. Q-Tip, The Last Zulu – This project has been on the radar for some time now but it’s hard to nail down a release date amongst the hype out there. The album is said to include, in some form, a reunion of original A Tribe Called Quest members. Jose James – His second release on the Blue Note label is in production, according to James’ facebook updates. Prince, Plectrum Electrum – The recently released (and excellent) single, “Breakfast Can Wait,” will be on the album as will tracks featuring the rock-centered 3rd Eye Girl who are touring with Prince. Happy, peaceful, and musical New Year! This video intrigues me. 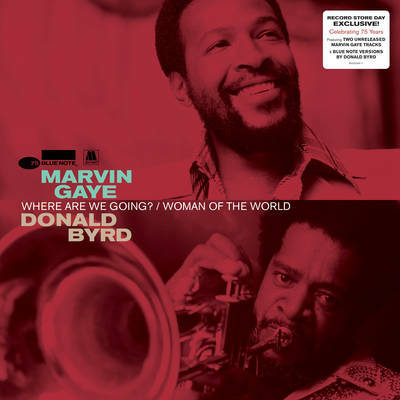 It features some of my favourite musicians recently playing alongside an original Marvin Gaye vocal track. This post is about that ‘virtual band’ concept and how we might take it in. Is it a loving homage, merely derivative, or just good music? The earliest instance of this phenomenon I can remember is the video for “Unforgettable…with Love,” (Elektra, 1991) featuring Natalie Cole alongside archival footage of her father, Nat King Cole. At the time, it struck me as a brazen attempt to trade on her father’s name and reboot her struggling pop career. It worked. The album went 7x platinum. As uneasy as the I was with the means, the recording was tasteful and the overall effect of the video, heartwarming. Fast forward to the 2012 London Olympics closing ceremony where we saw John Lennon duet with a children’s choir on “Imagine” and Freddie Mercury entrance nearly a billion TV viewers in a call-and-response routine filmed more than a quarter century earlier. Today’s technology makes nearly anything possible. Why remix when you can reanimate? But as with any new technology, once it matures, its application becomes more relevant than its technical wonder. Why remix when you can reanimate? This brings me back to the Marvin Gaye All Stars, recorded under the auspices of Italian national radio, RAI. The architect of the session was Alessio Bertallot, a broadcaster, musician, and host of RaiTunes, airing weeknights on RAI Radio2 (incidentally, Bertallot is a fine radio programmer…I recommend his podcasts). Assembling high calibre musicians like Jean-Paul ‘Bluey’ Maunick of Incognito and Thundercat (a.k.a. Stephen Bruner) is a good start if you value quality over the technical trickery of bringing Marvin Gaye back to life. 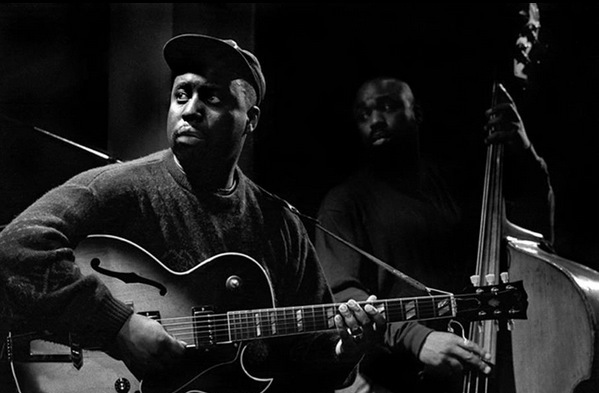 The accompaniment on the recording is laid back and respectful of the vocal track, but is set in a jazz-funk arrangement that gives the song contemporary lustre. Jason Lindner on the Rhodes is my new keyboard hero. Another example from the RaiTunes archive is Billy Jean’s All Stars, featuring Maunick on guitar, Marcus Miller on bass, jazz fusion great, Billy Cobham on drums, and of course, Michael Jackson on vocals. Again, the treatment is tasteful, blends with Jackson’s vocal track, and gives the song an entirely different vibe from the original version. I asked Bertallot what gave rise to the ‘virtual band’ series. He responded that mixing genres, live performances, and recordings is a means to “open minds and boundaries.” Indeed, RaiTunes’ collection of videos on Bertallot’s youtube channel are an eclectic mix of musicians, spoken word, and even visual artists interplaying with the radio medium. On the subject of reusing classic vocal tracks, Bertallot cited an exchange he had with Bruner, a critically acclaimed musician and none other than Erykah Badu’s bassist. Bruner recounted “sitting in his bedroom, as a teenager, for hours and hours trying to play along with Marvin Gaye’s voice.” This very humble account of a kid trying to master his instrument has the kernel of what makes these virtual bands more about ‘play’ than anything else. Re-watching the Marvin Gaye All Stars video, I see what he means. Four ‘kids’ with their instruments, playing along with a legendary voice from the past, just for fun. Ecco la musica gioiosa! To die-hard Incognito fans like me, the news of co-founder and premier songwriter Jean-Paul ‘Bluey’ Maunick’s debut solo release came with some cautious optimism. Optimistic because Bluey is a brilliant songwriter and producer. Cautious because without his usual cadre of Incognito collaborators, I wondered what would be left behind. Stylistically, the album has a fairly broad range, from R&B tracks like “Take a chance on me” and “Keep myself together” to “Live like a millionaire,” a fun-filled ode to the Isley Brothers’ “It’s your thing.” Bluey even uses spoken word in the title track, telling Nelson Mandela’s story through verse, overtop a heavy bass groove. My favourite track, however, is “If you really wanna,” laden with breezy acoustic guitars and vocals. 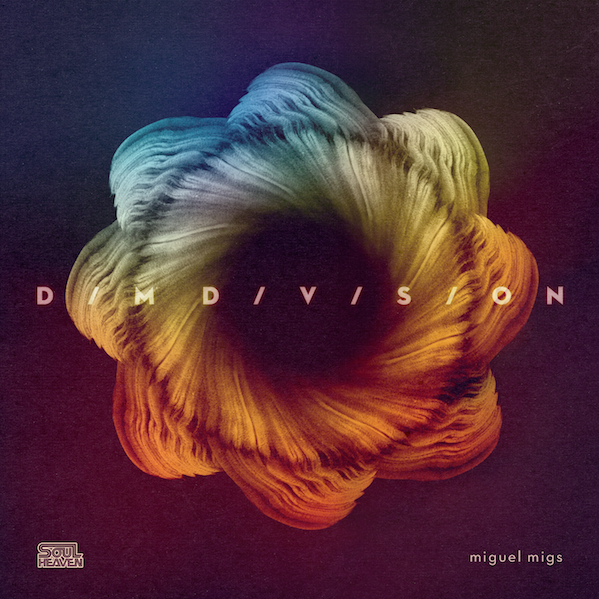 The first single, “Got to let my feelings show,” is an uplifting and danceable track, driven by syncopated synth lines from Domenic ‘Ski’ Oakenfull. Oakenfull, a former Incognito keyboardist, also lends his production chops to “Ain’t nobody’s business but my own,” the most electronically influenced track in the collection. The vocals Incognito fans have come to expect accompanying this calibre of songs are normally delivered by spectacular talents like Maysa Leak, Tony Momrelle, and more recently, Natalie Williams. 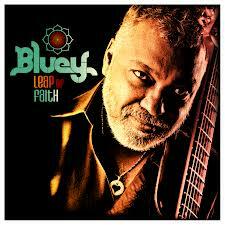 Bluey’s vocals are not as distinctive or powerful but that’s hardly a criticism. Making his ‘leap of faith’ to put this record out, you have to give it to Bluey for trying something outside of his tried and true formula for success. His vocals, though unfamiliar at first, emerge into an authentic style that Maunick and his fans can embrace. Stepping outside of the Incognito umbrella, Maunick has remained whole and revealed something new. Leap of Faith is a remarkable outing from a legend in jazz-funk and R&B who proves again he is an endless source of great songs and satisfying grooves. Incognito’s Jean-Paul ‘Bluey’ Maunick produced this album, which no doubt drew coveted collaborators Leon Ware, Omar, and Al Jarreau. Chaka Khan also appears on “Lowdown,” previously released on Incognito’s Transatlantic R.P.M. album (Shanachie, 2010). Happily, the album lives up to the great promise this gaggle of musical legends holds. 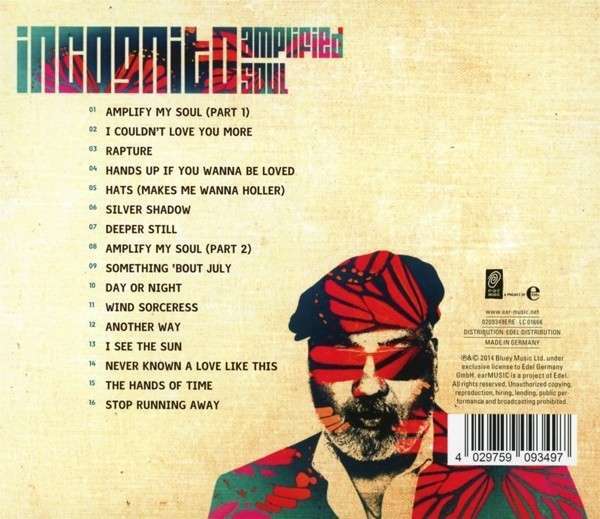 I came upon Mario Biondi via his popular 2006 release, Handful of Soul (Schema). Cool jazz numbers like “This is what you are” and “On a clear day” were a perfect introduction to a remarkable jazz singing voice, one with as much personality as Sinatra’s or Armstrong’s. Maunick’s treatment is noticeable on Sun, giving it more of a jazz-funk and soulful sound than the Cool Jazz sound of Handful of Soul. “Girl Blue” is a feel-good tune with the sweeping horn arrangements and backing vocals you’d expect from a great Incognito record. “Shine on,” “Deep space,” and “What have you done to me” are other uptempo tracks that Biondi attacks with relish and makes his own. “Catch the sunshine” is a perfect melody for Leon Ware’s style but clashes a little with Biondi’s timber, which is too jarring against Ware’s easiness. This would have been a lovely track for Ware to sing solo. 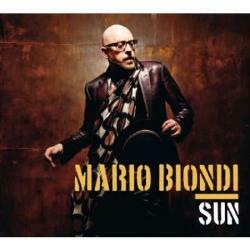 Likewise, Biondi’s voice is almost too powerful for the softly written “There’s no one like you.” Mario Biondi can certainly sing ballads but the arrangements on this track call for a much quieter touch than he can pull off without sounding contrived. Biondi does, however, channel Barry White adeptly in at least a couple of tracks. “I can read your mind” has a Barry White vibe and Biondi has the voice to pull it off. “La voglia la pazzia l’idea,” sung in his native Italian, has a bossa groove and wonderfully lush strings arranged by long-time Incognito collaborator, Simon Hale. In fact, to disco heads like me, Hale’s arrangements steal the show in more than a few tracks on this album. “Never stop” featuring Omar is a great tune and sounds like it could be a new hit from Bill Withers. Al Jarreau’s appearance on “Light to the world” is not quintessential Jarreau but it works. There’s very little scatting and the lyrical phrasing is much more relaxed than his vocal gymnastics masterpiece, “Take 5.” Still, it reminds us that Jarreau has a nice natural singing voice. Although not a cohesive end-to-end listen, Sun has 13 full-length tracks offering lots to choose from for fans of jazz, soul, and the spaces in between.